Found black and white tintype of 1870's hatmaker. Enlarged, cut out, colored with photo dyes, markers, pen, paint pen, and acrylics. 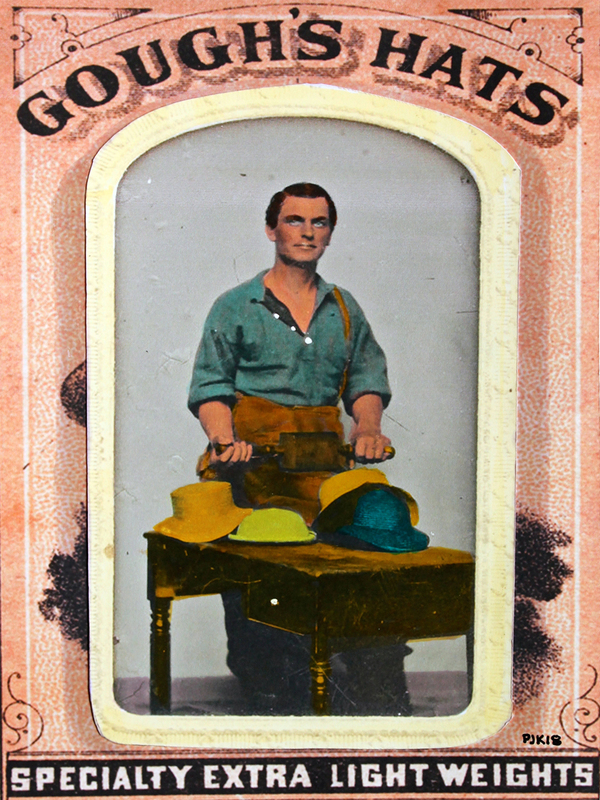 Glued on appropriated period newspaper advertisement for hats.